You are here: Home / Maintenance & Common Property / Maintenance NSW / NSW: Q&A Is the front door common property or the responsibility of the lot owner? Who is responsible for repairs to the front door of the unit? Is permission needed to install deadlocks? Leanne Habib, Premium Strata provides the following response. Question: Is the front door common property or the responsibility of the owner? Do lot owners need to seek permission to install deadlocks? I am the Secretary of an owners corporation and we are wondering, is the front door common property or the responsibility of the lot owner. I have seen an opinion from an NSW solicitor on your site but some of the contributors to that discussion raised more questions than there were answers. Does the owners corporation need to provide permission to an owner who wishes to install deadlocks? 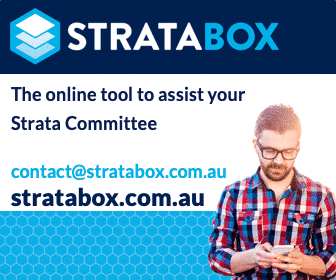 Can strata impose a special locking system on all owners? Is the Committee entitled to retain a key to all front doors (something which does not appear sensible)? Who looks after the painting of the inside of the door? There is nothing in our bylaws about ownership of front doors. Currently, we have a situation where a front door was damaged as a result of an attempted break-in but we have several older cases where the locks or the doors have become damaged or faulty and we have always stated the owner is responsible. Your advice and clarification would be greatly appreciated. Answer: Subject to any notations on the strata plan and applicable by-laws, a front entrance door is common property. Subject to any notations on the strata plan and applicable by-laws, a front entrance door is common property. As front doors are “fire-doors” for fire safety, the installation of additional deadlocks, peep-holes etc can adversely affect the fire safety of the door and result in the Owners Corporation not being able to obtain annual fire certification. Any work which detrimentally affects the fire safety of a building requires the passing of a by-law under the new strata legislation. In relation to an owners corporation imposing a type of locking system, generally, this would require the passing of a by-law. Painting of the inside of the front door is an individual owner’s responsibility because it’s part of the cubic lot space of the unit (generally speaking). If you refer to the common property memorandum on the NSW Fair Trading website (which must be adopted to apply to any particular scheme), original and replacement locks and any automatic closers etc form part of the common property. This post appears in Strata News #212. NSW: Q&A Who’s responsibility to replace the screen door? Who is responsible, should termites inflict damage to common property, relating to the units owned by those who never complied with the agreement???? ?